Post-holiday or even post-weekend, it seems most of us are looking to detox, hydrate, zen-out and gracefully slip ourselves back into the daily grind, all while staying happy, healthy and hydrated. *Potassium. Very high source of potassium-more per serving than bananas or sports drinks like Gatorade. *Healthy Lifestyle. Low in calories, light and refreshing. Only 60 calories per serving. *Isotonic Beverage. Studies have shown that it is an isotonic beverage. 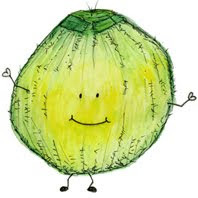 Coconut Water has the same electrolytic balance as human blood: It's Isotonic! *Manganese. Coconut Water has a very high level of Manganese which is essential for bone growth and the body's development; 2-5mg a day is required for good health. Manganese supplements are used to treat Osteoporosis. *Hangover Remedy. Coconut water is the perfect beverage to chug the day after (or day of) an induglent night of dehydrating alcohol. Why? It naturally adds electrolytes like potassium back into your system, without adding unwanted sugary flavors or colors like other "hydration beverages" contain. Plain and simple: Coconut water is hydrating, and alcohol can dehydrate you. Water is also a fine choice for hydration, but it doesn not contain the same extra beneficial nutrients that coco water does. Try it once and you may be hooked on coco water to bring you back to life, naturally. *Tastes delicious. Drink ice cold for best taste results. *Human Connection. CW shares the same electrolytic balance as human blood, and during World War II when IV solutions were scarce, CW was used as an IV drip for patients in hospitals and clinics. *Trendy! 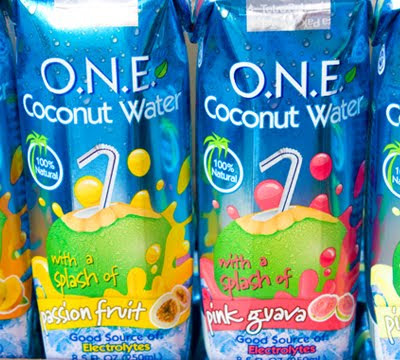 Coconut water has made its way to all the trendiest celebrity parties, events and sports events. If you're not drinking coconut water, you're just not sipping-it with the 'in crowd'. *Mainstream Availability. You can easily find brands like ONE, ZICO and Vita CoCo at mainstream supermarkets like Whole Foods. 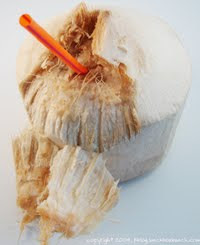 If you want the very freshest of coconut water beverages-simply buy one of those large white fresh young coconuts, crack it open, insert straw and sip your way to coconut water hydration. 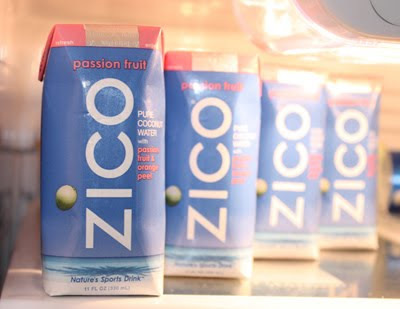 5/10 ZICO Goes Plastic...and from concentrate..
4/09 Coconut Water Ice Cubes: Best Smoothie Tip! 1/09 Coconut Water from a fresh coconut!